When traveling around Tokyo it was never hard to find good coffee. Even the vending machine coffee came as a treat if I was unable to find a cafe nearby. Almost every winding backstreet had a “Coffee Boss” vending machine with an abundance of choices, hot or cold. I don’t think it would be too ambitious to say that the Japanese people love their coffee. 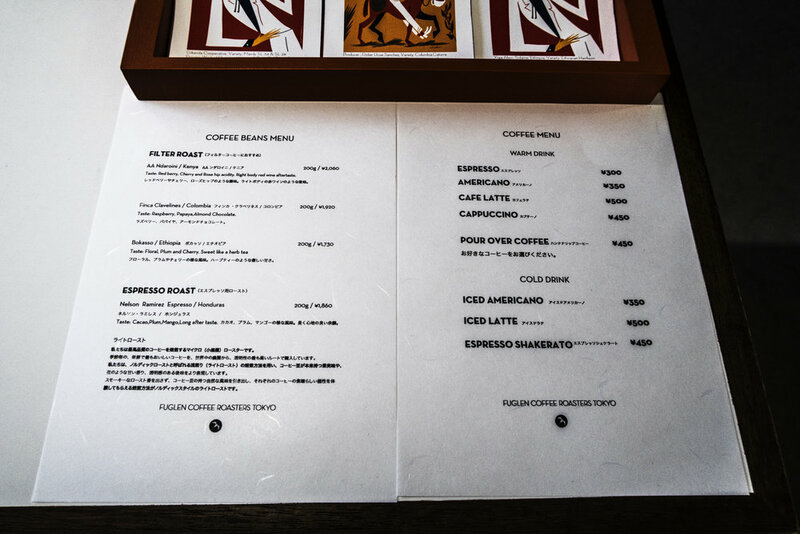 Being a slight coffee snob I scoped out some of the best coffee houses in Shibuya. Fuglen, a Norwegian company always satisfies my hankering after a long day strolling through Harajuku & nearby Yoyogi park. On this particular day I had spent a few good hours laying under the Sakura tree’s, celebrating Hanami in traditional Tokyonite fashion. After a few beers & a delicious bento it was time to have a filter coffee. When in Shibuya, you have two location options for Fuglen. One is situated HERE & is the main coffee shop. The other is HERE & is the official roasting facility. I usually go to the first location, however on this particular day I decided to go to the roaster, as it was closer to the proximity of our Hanami picnic. I have visited the cafe many times & was never disappointed in the brew. The cafe is small on the inside, however there are a few chairs outside & around the side of the building. Inside the cafe & roastery they sell their beans as well as some brewing apparatus. The interior design of the roaster is minimal & lacking in comparison to the cafe, but I understand why. The staff at both locations are friendly, enthusiastic & boy can they make an awesome cup of coffee. Upon entering the roaster I was greeted warmly & asked what I was looking for. Within seconds of ordering, the barista was prepping my v60, taking care at each stage of the brew. When presented to me, it was a deep maple colour. It was floral in taste & very light. It hit the spot perfectly & had me buzzing for the rest of the day. 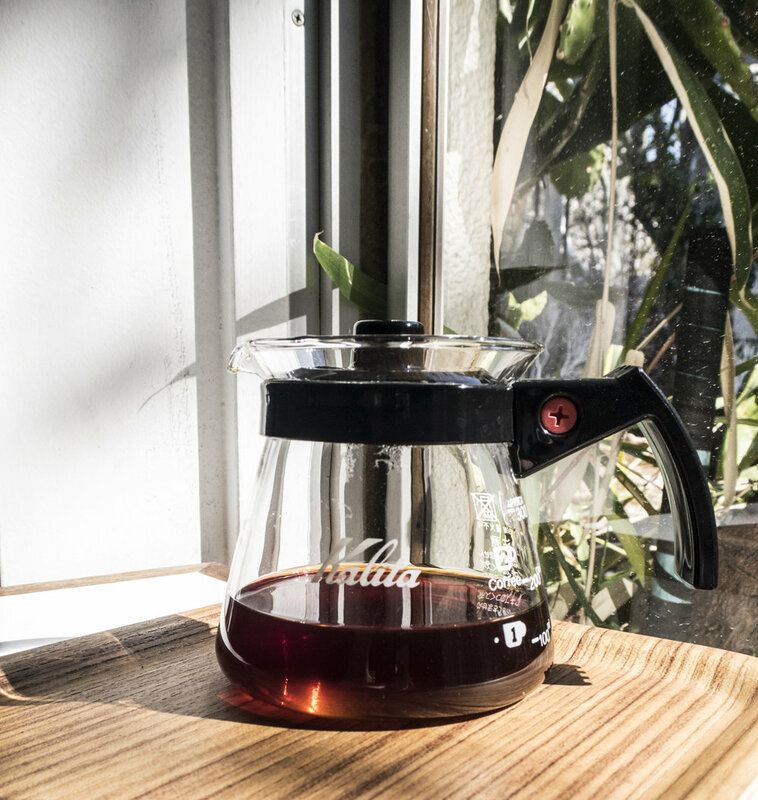 When visiting Fuglen, you are in a prime spot for other specialty coffee shops. Little Nap Stand & Coffee Supreme are only a few blocks away. Both serving quality brews. Don’t expect a seat at Little Nap Stand, instead grab a coffee & make your way to Yoyogi Park. Coffee Supreme has limited seating. Ideal for individuals or small groups.